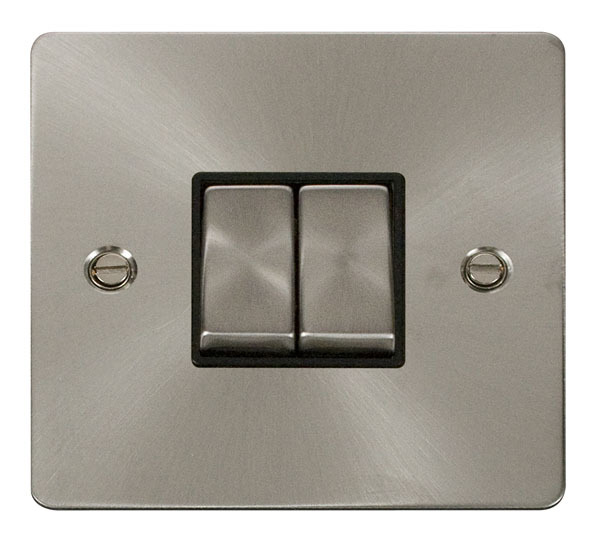 Flat Plate Brushed Stainless Steel Ingot 10AX 1 Gang 2 Way Switch with black or white inserts. 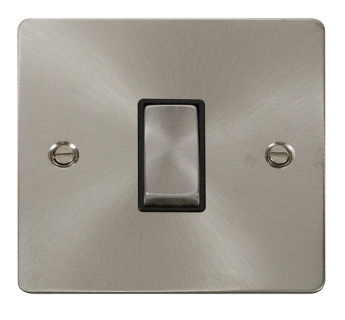 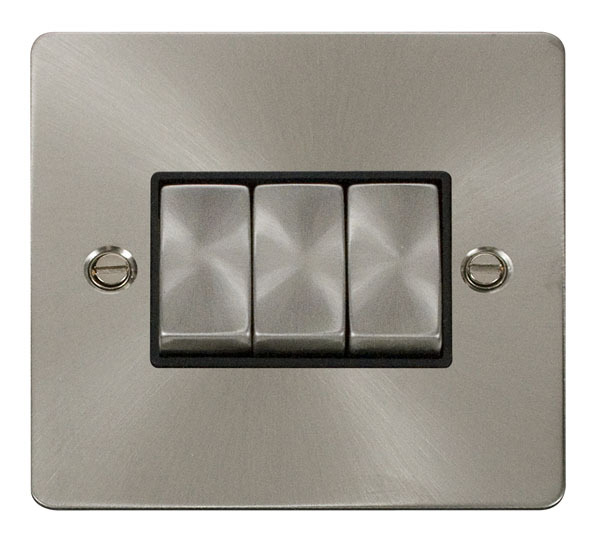 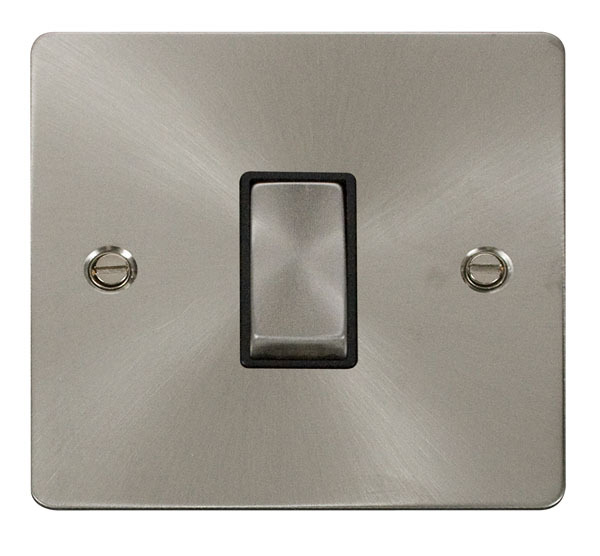 Flat Plate Brushed Stainless Steel Ingot 10AX 2 Gang 2 Way Switch with black orr white inserts. 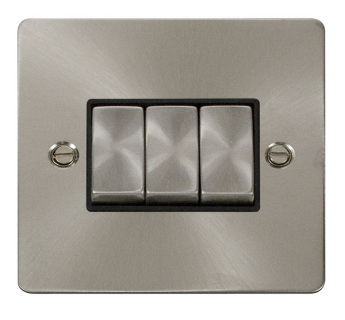 Flat Plate Brushed Stainless Steel Ingot 10AX 3 Gang 2 Way Switch with black or white inserts. 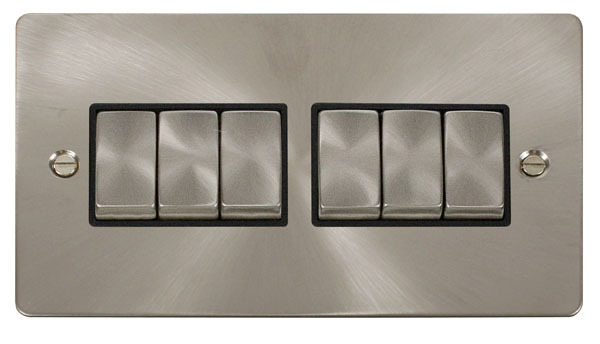 Flat Plate Brushed Stainless Steel Ingot 10AX 4 Gang 2 Way Switch with black or white inserts. Flat Plate Brushed Stainless Steel Ingot 10AX 6 Gang 2 Way Switch with black or white inserts. 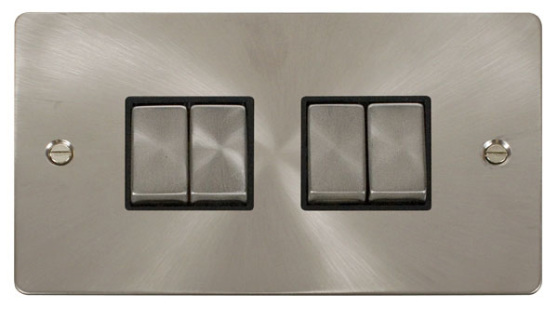 Flat Plate Brushed Stainless Steel Ingot 10AX 1 Gang Intermediate Switch with black or white inserts.